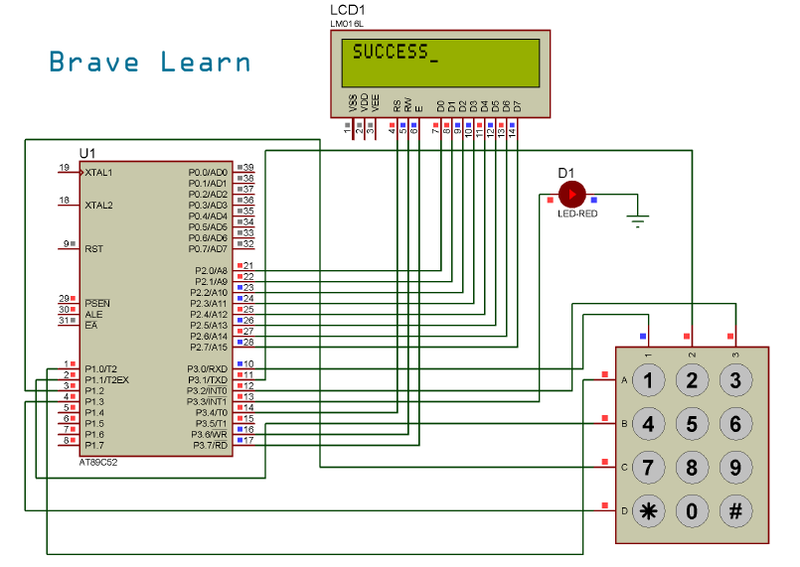 This project interfaces famous Microcontroller AT89C51 with LCD 16×2 with 3×4 Keypad. This project asks the user to enter password to unlock the lock or light up the LED. Password security via keypad can be very productive you can just put a security lock outside your door and use a servo motor to unlock the door if the user enters a correct password. However, in this project we use a simple LED if the user enters a correct password LED will glow else not. 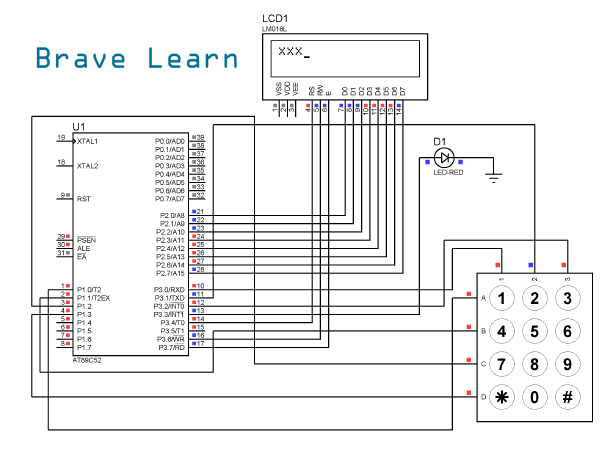 To see how to interface a simple keypad with LCD using AT89C51 please visit here. Now if a user enters a correct password i.e. 1234 in this case the LED will glow. However you may replace the LED with a relay and drive the servo motor which can be hooked up with your door lock etc. To know how to drive a relay with AT89C51 please visit here. Now if a user enters the incorrect password the message “TRY AGAIN” will be displayed on the screen and LED will be turned OFF if it is already ON. You may enter the incorrect password to turn the lock ON i.e. switching the LED OFF after it is being turned ON. Please burn the code using appropriate burner like G540 etc. To know how to burn code with G540 please visit here.